The massive development will feature innovative nods to sustainability and resiliency, but also a system for gathering data on an unprecedented scale. 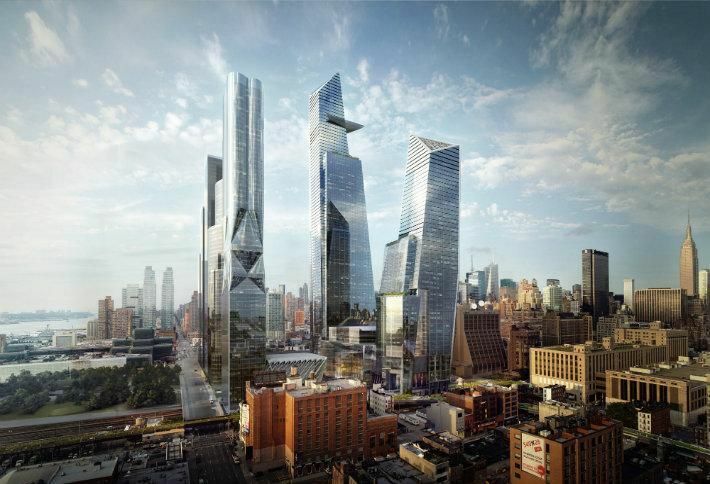 The 28-acre Hudson Yards project just two years away from completion, and the impact of its “smart city” initiatives is coming into focus. Developers Related Cos and Oxford Properties planned for several “smart-city” features including a CoGen plant to provide roughly 70% or more of the project’s energy needs as well as sustainability measures like a composting program and rainwater recycling. There will also be a system of sensors and apps— developed in partnership with NYU’s Center for Urban Science and Progress—that will provide an unprecedented flow of data for CUSP’s researchers.